Gourmet Catering, Sightseeing, Wine Tasting, Romantic Sunset Cruises. Our “Introduction to Sailing” adventure is designed to introduce you to the sport of Sailing! Take the helm, feel the wind on your face and catch the spirit of sailing. This is an excellent opportunity to fulfill your dream of sailing, well maybe not all your dreams of sailing but you will get a taste of a sailing adventure. Do you have torn sails? Stitches that are missing or broken? Better to get that repair done sooner than later. Better for your investment and your pocket book. Located in the heart of Penticton Marina just beside Penticton Boat Rentals. Its quick, convenient and affordable. 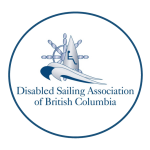 Sailing Okanagan is a “charter for charity” business donating 100 % of net profits to local Charity organizations so come and have fun and feel good about where you money is going. 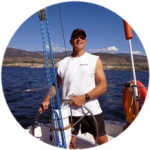 Penticton area on Lake Okanagan offers some of the best inland sailing in BC with excellent winds and clear blue skies. Come and have a custom sailing adventure this summer for sightseeing, see a romantic sunset or take the helm (wheel) and hear the Sails Call!